Soulseeds asked for the expertise of IONA to create the brand, online community, e-commerce, and branded products through innovative design and technology. 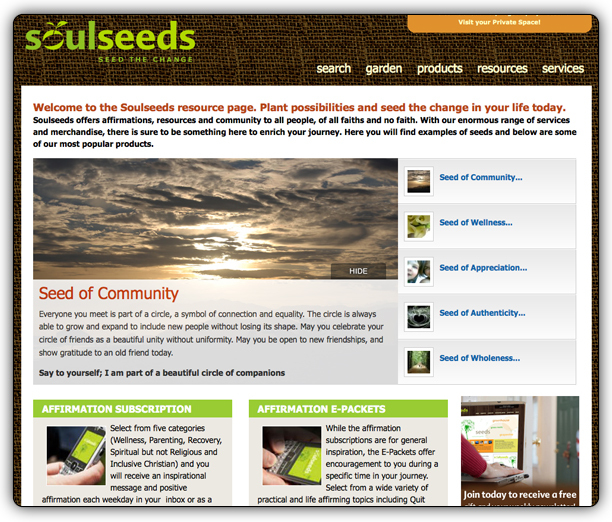 IONA worked with Soulseeds to create the brand strategy and digital strategy needed to begin the process of defining the objectives, scope of work, competitors, target audiences, and benchmarks for success. 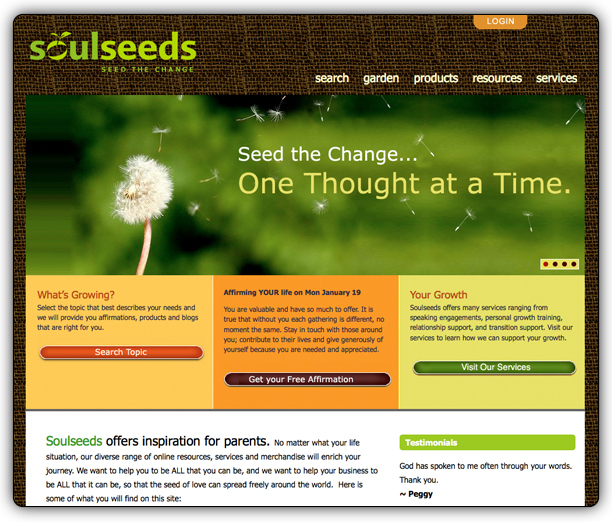 Through this process, Soulseeds was able to clearly envision the tactical goals, objectives, product development requirements, budgets, and timelines needed for success. 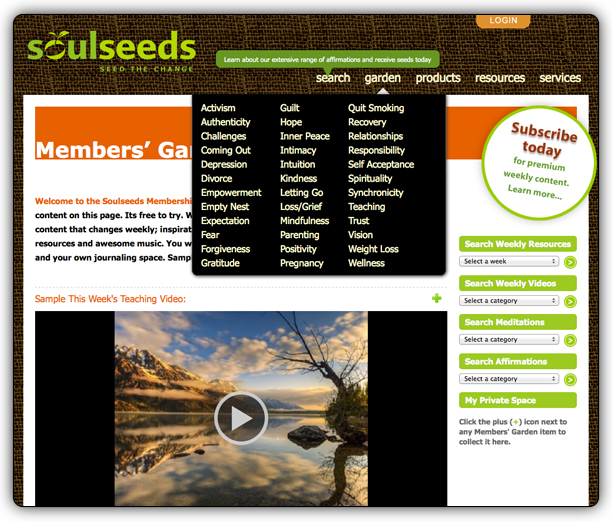 Through the Soulseeds.com environment, subscribers are able to share and gather spiritual connection with like-minded people through a variety of blogs and daily affirmations. Creating an online community requires the relentless management and support of its sponsor. Online community members always seek affirmation of their need and purpose within the community. It is important that this is continually addressed and measured by the give and take of content and offering of the sponsor.